Annual Golf Outing - Student Chapter at the University of Maryland - Annual "Night at the Nats"
University of Maryland Golf Course, College Park, MD. Food, drinks, and networking begin at 5 pm!! Founded in 1904 and headquartered in Farmington Hills, Michigan, USA, the American Concrete Institute is a leading authority and resource worldwide for the development and distribution of consensus-based standards, technical resources, educational & training programs, certification programs, and proven expertise for individuals and organizations involved in concrete design, construction, and materials, who share a commitment to pursuing the best use of concrete. 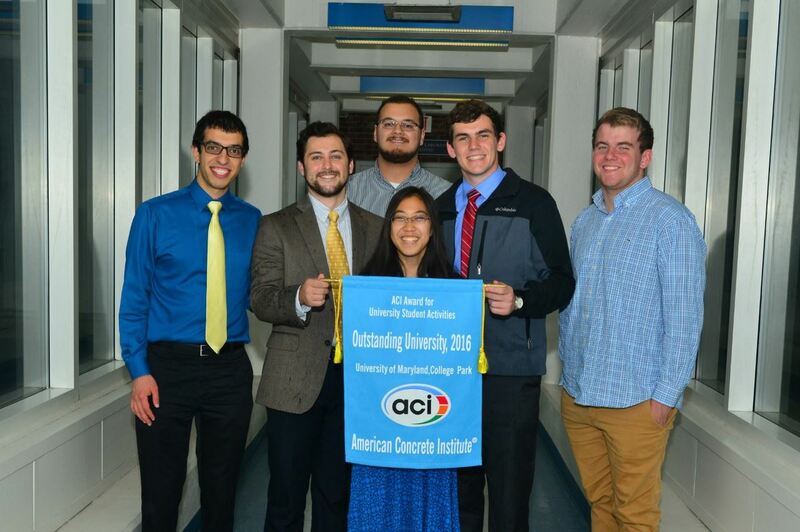 ACI has over 95 chapters, 125 student chapters, and nearly 20,000 members spanning over 120 countries. Each year the American Concrete Institute recognizes chapters that have made significant contributions to their local communities and to the American Concrete Institute. Chapters are eligible to receive a citation as either an Excellent or Outstanding chapter based on points earned on their annual report. We have received the Top Honor again for 2017! We couldn't be an Excellent chapter if it were not for the time, financial support and expertise of our Members! Our members ROCK!